See this post on GitLab's blog here. GitLab is a great platform for active, ongoing, collaborative research. It enables folks to work together easily and share that work in the open. This is especially poignant given the problems in sharing code in academia, across time and people. 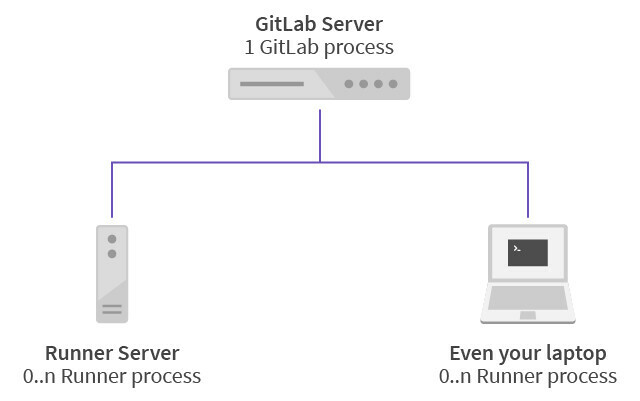 It's no surprise that GitLab, a platform for collaborative coding and Git repository hosting, has features for reproducibility that researchers can leverage for their own and their communities' benefit. Reproducibility is a core component in a variety of work, from software engineering to research. For software engineers, the ability to reproduce errors or functionality is key to development. For researchers, reproducibility is about independent verification of results/methods, to build on top of previous work, and to increase the impact, visibility, and quality of research. Y'know. That Sir Isaac Newton quote in every reproducibility presentation ever: "If I have seen further, it is by standing on the shoulders of giants." There are a few solutions out there, including containers (such as Docker or Singularity) for active research, and o2r and ReproZip for capturing and reproducing completed research. For this post, I'm going to focus on active research and containers. I like GitLab for research reproducibility because it makes working together simple, and seamless. There's no hacking together 100 different third-party services. GitLab has hosting, LFS, and integrated Continuous Integration for free, for both public and private repositories! Everything is integrated in a single GitLab repository which, if made publicly available, can enable secondary users to reproduce results in a more streamlined fashion. You can also keep these private to a group – you control the visibility of everything in one repository in one place, as opposed to updating permissions across multiple services. 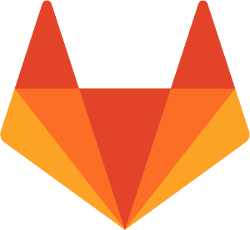 There are a few key features that set GitLab apart when it comes to containers and reproducibility. The first is that GitLab doesn't use a third-party service for continuous integration. It's shipped with CI runners which can use Docker images from GitLab's registry. Basically, you can use the Docker Container Registry, a secure, private Docker registry, to choose a container that GitLab CI uses to run each job in a separate and isolated container. If you don't feel like using the GitLab registry, you can also use images from DockerHub or a custom Docker container you're already using locally. These can be integrated with GitLab CI, and if made public, any secondary users can use it as well! It's also worth noting that you can use different containers per step in your workflow, if you outline it in your .gitlab-ci.yml. If your data collection script runs in one environment but your analysis script needs another, that's perfectly fine using GitLab, and others have the information to reproduce it easily! Another feature that puts GitLab apart is that a build of one project can trigger a build of another – AKA, multi-project pipelines. For those of you working with big data, you can automatically spin up and down VMs to make sure your builds get processed immediately with GitLab's CI as well.